The duties and challenges of the tour enabled Swift to gain new experience and a new approach to his work. 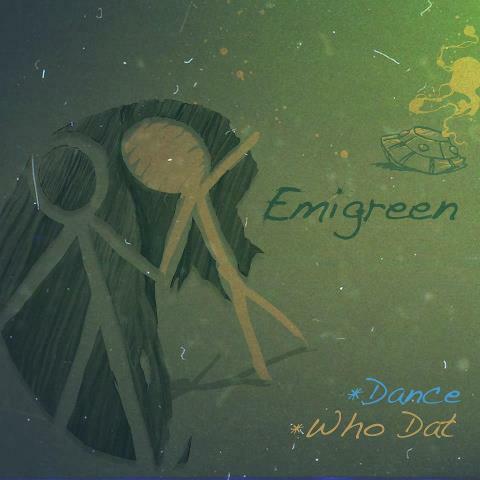 EMIGREEN first single DANCE/WHO DAT released in april!!!! FRENCHYZ IN L.A. My first Electro/Pop mix! Kavinsky, Mgmt, M83, Birdy Nam Nam, Mark Ronson, Daft Punk, Gramatik, Paul Basic, Sebastien Tellier, Breakbot, Pete Yorn, Caro Emerald, C2C, Paul Kalkbrenner, Nickodemus. In 2008, he became the DJ and art director of the Star Academy Tour (French version of American Idol). The duties and challenges of the tour enabled Swift to gain new experience and a new approach to his work. On stage, Swift is cutting, scratching and mixing the best of Hip Hop music with Rock n’Roll classics. From Cypress Hill to Dr. Dre, from Jimi Hendrix to Rage Against The Machine. He simply electrifies the crowd with his bouncing sets. Swift is also a Mashup specialist (Bootlegs). His Mashups are then, played by the best world DJs and broadcasted on the best radio shows worldwide (Sirius satellite, Soul Assassins radio, Beatles radio…). He has released two Mashup albums: SWIFT ROCK THE HIP HOP Vol.1 and Vol.2. These two albums are based on a great and new basis: mixing the best Hip Hop artists with the best Rock n’Roll songs. So far, he has produced remix for Xzibit, Black Pegasus, Evidence from Dilated Peoples, Sick Jacken, La Coka Nostra, B Real, RZA, Planet Asia,.. In 2009 he has produced the debut album of a French rapper. Now living in Los Angeles, he is working on his debut solo album.